The quiz club of National Public School, Yeshwanthpur organized general quiz 'Brain Quest' for classes 9 to 12 on 2 November 2018. 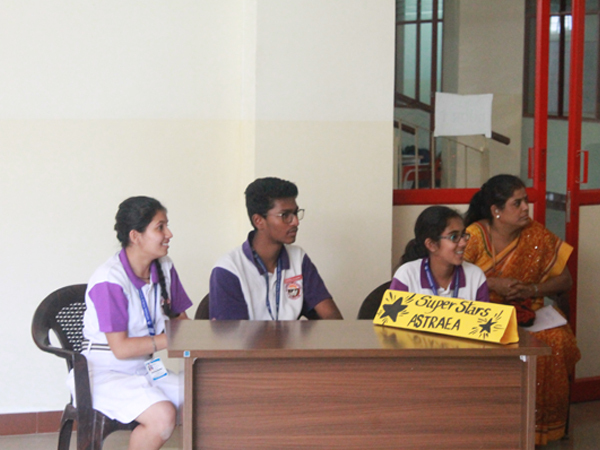 Three participants from each house were shortlisted and the quiz started with introduction to the rules of each round. The quiz comprised of four rounds - Multimedia, Lottery, Connect the Dots and High Stakes covering topics like Science, History, Art and Culture, Mathematics, Cyber, Sports, Entertainment and Famous Personalities. 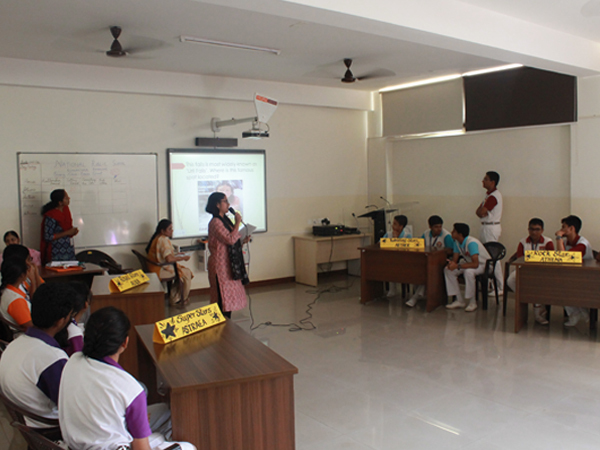 The quiz invoked curiosity and created lot of enthusiasm in students. Each team performed to the best of their abilities. The audience displayed their active participation by answering a few questions. Brain Quest provided an opportunity for students to showcase their analytical skills and team spirit. Let's Explore the Horizons of Knowledge!